A perfect fit for tiny tots! 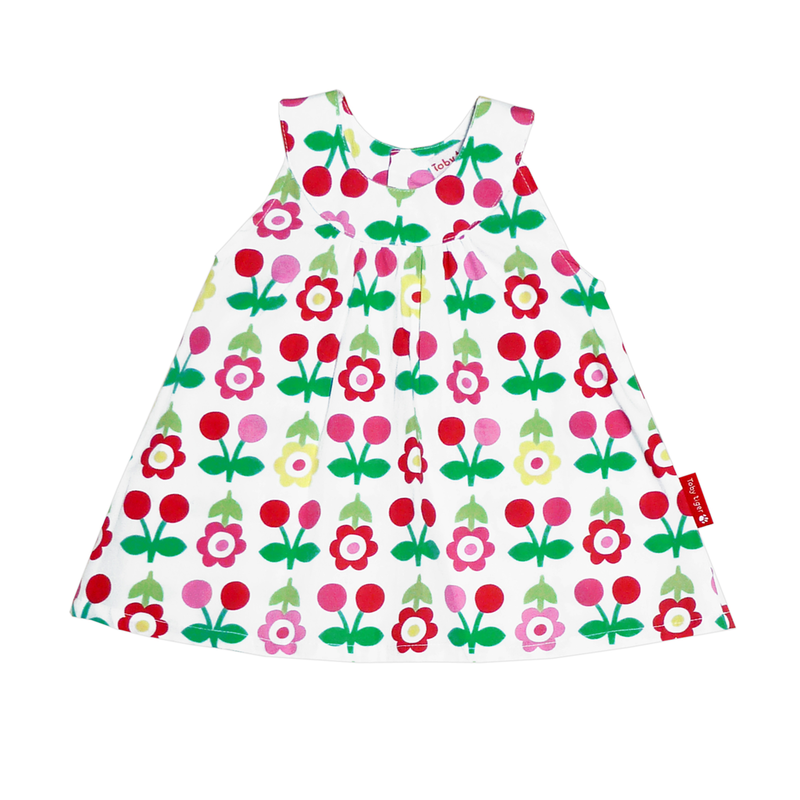 This delightful cherry print baby dress and pants set is a treat for the eyes – just pair with a matching sun hat for a perfect summertime outfit. 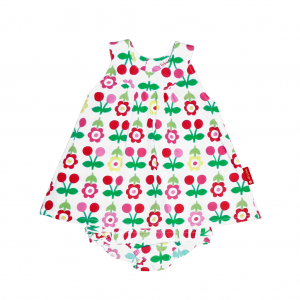 A sweet and summery outfit fit for any adventurous tot off on their holidays! This breathable 100% cotton newborn baby dresses uk and its adorable frilly matching pants will keep baby happy, cool and comfortable all day. Looks great when paired with our matching reversible cotton sunhats! Finished with four little buttons down the back of the dress to help make changing a snip.